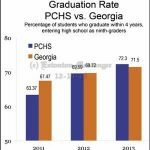 December 19, 2013 – Putnam County High School (PCHS) had a graduation rate of 72.3 percent for 2013 – 9 percent higher than its 63.3 in 2011 and almost 3 percent higher than its 69.5 in 2012. 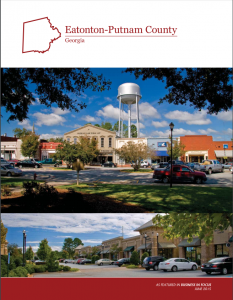 Additionally, more students are participating in dual enrollment and…/or Advanced Placement classes and receiving college credits while they earn high school credits, which increases the likelihood of them going on to – and graduating from – college. Putnam County’s graduation rate showed improvement – and the county graduated students at a higher rate of increase than the state – for 2013, according to information released by the state.